Internal investigations and public enforcement actions pose significant legal challenges for companies. The inherent multidisciplinary nature of the most frequent issues, which requires an in-depth knowledge not only of the laws and regulations of the relevant industry, but also of criminal, corporate, contract, data protection and labour law (often in more than one jurisdiction), increases these challenges. The London contingent of Cleary Gottlieb Steen & Hamilton has recently moved across the road into premises so new they do not yet have a postcode recognised by Google Maps. The irony is not lost if you consider the firm’s role as counsel to Google on some of the most high-profile antitrust cases in recent years. You would have thought they would have had that detail covered. Uncharted or otherwise, the shiny new office can only be seen as a vote of confidence from Manhattan, especially as it will allow the City branch to accommodate some 180 lawyers – 40 more than it currently houses. 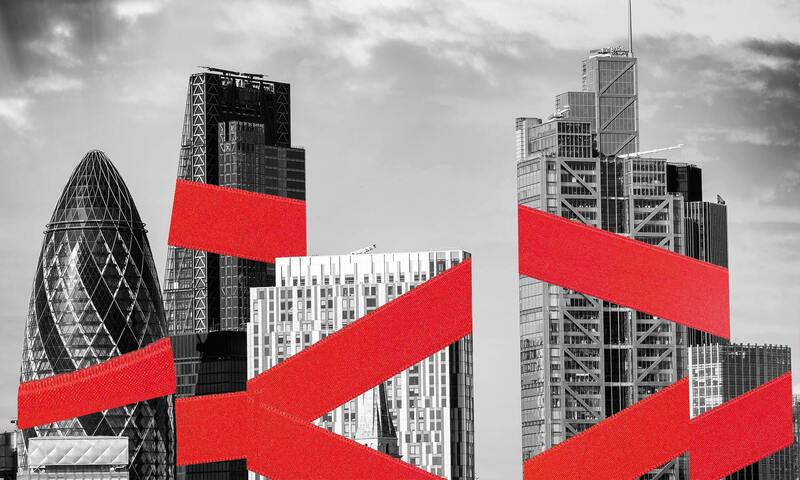 But despite an exceptional competition practice and a long-established European network, Cleary ’s struggle to become a big hitter in London for mainstream M&A has been evident. 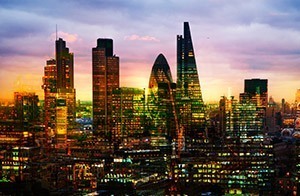 Two recent mandates for London-led teams announced in February stood out as being the exceptions to the rule for the corporate team rather than the latest in a string of major deals. Cleary consolidated longstanding relationships and bolstered its public M&A ambitions by advising Fidessa group on the proposed £1.4bn takeover offer from fellow financial software company Temenos Group, as well as American Express on its joint venture’s £400m takeover of Hogg Robinson Group. Simon Jay led the team that advised Fidessa, having forged a relationship with the company in 1997 when he advised on its initial public offering, while Tihir Sarkar – who advised Amex in 2014 on the formation of the joint venture – led again for Amex. Those deals stand out as rare London-led plays since the firm advised Qatar Investment Authority on its acquisition, as part of a consortium, of a 61% stake in National Grid’s gas distribution business, which closed in March 2017. But while there is a dearth of substantive M&A work out of London, Cleary has been busy elsewhere. The firm is quick to point to a pair of significant mandates during 2017: advising General Motors on the sale of its Opel/Vauxhall subsidiary and General Motors Financial Company’s European operations to Groupe PSA. The transactions were valued at €1.3bn and €0.9bn respectively. 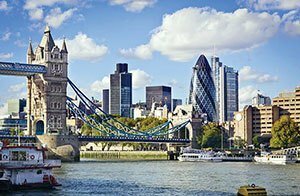 The deals were led out of Paris and New York but featured Bob Penn – one of the firm’s rare lateral hires from Allen & Overy in 2016 – advising on regulatory matters in London. The firm’s rigid lockstep partnership model perhaps poses a challenge to its expansion in London now more than ever, in a climate where the likes of Kirkland & Ellis and Latham & Watkins are splashing the cash to attract top performers. And although extremely conservative about making up partners internally, Cleary’s only London partner promotion in the latest round was in corporate. The promotion of Nallini Puri is evidence of the maturity of Cleary’s corporate practice that is now allowing lawyers to climb the ranks internally. London fee-earner count has also increased a substantial 21% in the last year, rising to 140 lawyers from 116. The increase is thanks to the firm taking on more trainees and holding on to more of its associates, rather than an uncharacteristic hiring spree. But a shiny new office is not enough on its own to help a prestige firm realise its ambitions in an aggressive market – it simply provides room to manoeuvre. Being old school will only get you so far in the age of disruption. The continued dominance of US firms in the City lateral market shows no sign of slowing, with Cleary Gottlieb Steen & Hamilton yesterday (20 November) bringing in experienced disputes partner James Norris-Jones from Herbert Smith Freehills (HSF) to its office in the capital. Norris-Jones, who was made a partner at HSF in 2012, has a broad practice that encompasses High Court litigation as well as arbitration. His arrival will boost Cleary’s already well-established London disputes team, comprising partners Sunil Gadhia, Jonathan Kelly, Christopher Moore, David Sabel and Romano Subiotto QC. During his career at HSF, Norris-Jones notably represented RBS in the shareholder group action that settled in June. 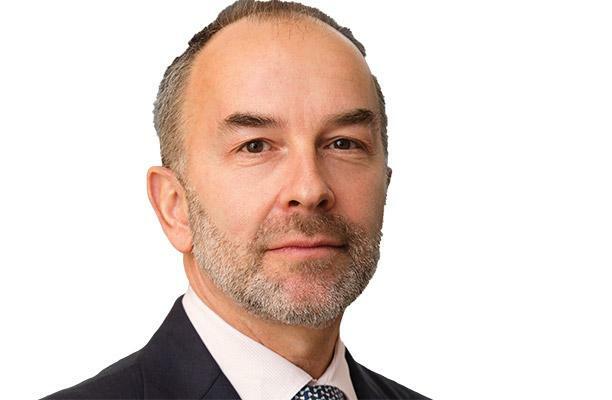 The arrival of Norris-Jones will be a welcome boost for Cleary’s City , after it suffered the loss of capital markets partner Simon Ovenden to Simmons & Simmons earlier this year. For HSF, Norris-Jones’ departure represents the second partner prised away by a US firm since the summer. Global energy co-head Anna Howell left for Gibson, Dunn & Crutcher in June, to bolster the US firm’s fast-growing practice. 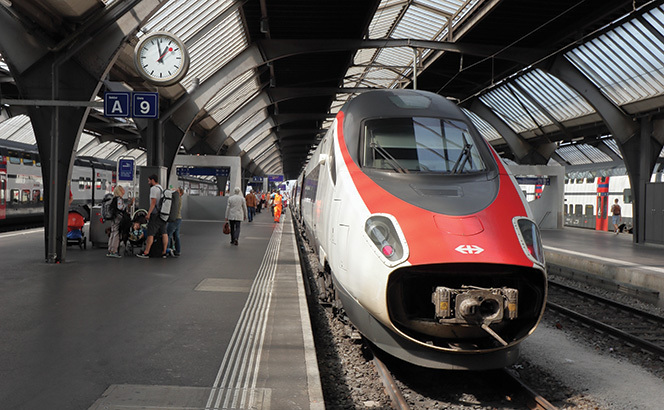 US law firms took the lead as Siemens agreed to combine its transport operations with former rival Alstom in a merger of equals to counter the threat from China to the European railway industry. The European Commission (EC) has today (27 June) fined Google €2.4bn for abuse of dominance as a search engine, illegally promoting its own comparison shopping service above others in breach of antitrust law, creating expectations of a raft of damages claims based on the finding. The EC told the global company to end its illegal conduct within 90 days or face penalties of up to 5% of Google’s parent company Alphabet’s average daily worldwide turnover. Cleary Gottlieb Steen & Hamilton competition partner Maurits Dolmans and Brussels partners Thomas Graf and Robbert Snelders acted for Google. Julia Holz co-ordinated Google’s in-house defence. Clifford Chance partner Thomas Vinje represented 15-company consortium Fairsearch which submitted evidence in relation to rival shopping services in the case, including as Foundem, TripAdvisor, Expedia and Trivago. Covington & Burling’s Miranda Cole advised Expedia, TripAdvisor and Trivago. Today, Fairsearch stated that the decision ‘sets a powerful precedent’ that the EC can use to restore competition on other specialised online search services, such as those for travel. Google’s activity was ‘illegal under EU antitrust rules. It denied other companies the chance to compete on the merits and to innovate.’ It also ‘denied European consumers a genuine choice of services and the full benefits of innovation,’ she said. The EC also said that as a result of its practices, Google’s comparison shopping service is far more visible to consumers in Google’s search results than rivals’ comparison shopping services, which are pushed down and less visible. While the EC could have fined Google up to 10% of its annual global turnover, Peter Willis, EU competition co-head at Bird & Bird described the case as ‘significant’ partly for being largest EC fine to date on a single company. ‘It’s likely to be portrayed as another instance of the Commission bashing US tech companies’, but the EC’s position ‘will be that it has fined Google not because it is a large US tech company, but because it has abused its dominant market position by squeezing out its rivals in related markets’, he added. The EC’s decision will ‘establish Google’s liability and a damages claim will in principle be limited to establishing the loss,’ Willis added. In 2004, the EC fined €497m Microsoft for illegally leveraging its dominant position. Google’s search engine provides search results to consumers who pay for the service with their data, according to the EC. Nearly all of Google’s revenues come from advertising, many shown on a consumer search. The EC said that Google’s search algorithms had ‘systematically’ promoted its own comparison shopping service to consumers at the top of the page on a Google search while demoting rival comparison shopping services. The decision followed a seven year investigation into Google’s online shopping comparison service. Kent Walker, general counsel at Google, has blogged that the EC’s case ‘doesn’t fit the reality of how most people shop online.’ Walker argued that rather than looking for products on a search engine, consumers reach merchant websites in many different ways such as social media websites and online advertisements. 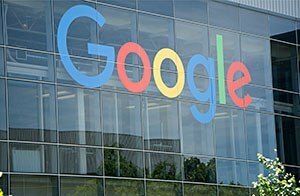 There are currently two separate investigations pending into Google, one regarding its use of the Android operating system and another into its AdSense service. The European Commission’s (EC) probe of Google’s online shopping practices is reported to be closing in coming months with a potential €1bn (£875m) fine, in a case in which Clifford Chance (CC), Cleary Gottlieb Steen & Hamilton and Covington & Burling all act. For seven years, the European regulator has been investigating allegations that Google favours its own online shopping price comparison services above others on its search engine, abusing its dominant market position in breach of antitrust law. According to media reports, the Brussels-based agency is nearing a decision on a fine against the company. In 2009, UK price comparison website Foundem accused Google of lowering its ranking on the search engine in favour of its own companies. At least 30 other similar complaints soon followed from companies such as Microsoft, Expedia and TripAdvisor. The fine is expected to break the EC’s previous record in relation to an technology company antitrust breach after it fined Intel €1.06 billion in May 2009 for granting favourable rebates to companies such as Dell, HP, and Lenovo, for acquiring all or nearly all of their chips from Intel. The EC opened this Google antitrust case in 2010. In July 2016, the EC formally stated that Google ‘has abused its dominant position by systematically favouring its comparison shopping service in its search result pages.’ Google denied the allegations and delayed its response. The EC is concerned that Google promotes its own services its rivals’ cost to the ‘detriment of consumers’ who have to pay more due to resulting market distortion. It also claims that Google’s conduct ‘stifles innovation’ in the market for online shopping. The EC also sent a statement of objections to Google in relation to advertising. According to the EC, Google restricted the ability of certain third party websites to display search advertisements from its competitors. The three firms are also involved in this separate investigation. Alphabet Group, a holding company, has owned the US multinational conglomerate and other Google subsidiaries since a corporate restructure in 2015. Cleary’s London-based competition partner Maurits Dolmans and Brussels partners Thomas Graf and Robbert Snelders act are defending Google. Google’s internal competition lawyer Julia Holz co-ordinates the company’s in-house defence. Led by partner Thomas Vinje, CC is advising Fairsearch, a 15-strong consortium with allegations against Google in the case. Covington & Burling’s Miranda Cole acts for Expedia, TripAdvisor and trivago. In December 2016, Google’s UK and Ireland legal chief Emma Jelley left the company to join tech start-up Onfido as general counsel. Jelley had overseen the company’s legal affairs in the UK and Ireland for eight years. Partners from Cleary Gottlieb Steen & Hamilton, Norton Rose Fulbright and Quinn Emanuel Urquhart & Sullivan are set to go another round as Ukraine has vowed to appeal a pre-trial decision over a $3bn Russian bond repayment. The High Court has ruled that Ukraine did not provide a ‘justiciable defence’ in the case, heard in London’s recently created financial court. The case relates to a $3bn loan Russia made out to Ukraine in December 2013 in the form of a Eurobond. The Law Debenture Trust Corporation is the trustee of the bond, which was arranged by White & Case and Clifford Chance. Ukraine argued the loan was made as part of wider Russian economic and military pressure to prevent Ukraine from signing an EU Association Agreement at the Vilnius Summit in November 2013. In March 2014, Russia annexed Crimea. But following a pre-trial hearing, Justice Blair concluded: ‘The threats of the use of force by Russia which are relied upon by Ukraine as vitiating the Eurobond transaction fall within the foreign act of state doctrine as issues upon which the court should refrain from adjudicating. Quinn partner Alex Gerbi lead for Ukraine and Norton Rose’s financial disputes partner Michael Godden acted for The Law Debenture Trust Corporation, the trustee directed by Russia’s Ministry of Finance to bring the case. Cleary acted for the Russian government, with a team including partners David Sabel and Jonathan Kelly. Norton Rose instructed Brick Court’s Mark Howard QC and Oliver Jones. Fountain Court Chambers’ Bankim Thanki QC and Simon Atrill and Essex Court Chambers’ Malcolm Shaw QC were enlisted by Quinn. In August 2015, Weil, Gotshal & Manges and White & Case acted as the lead advisers as Ukraine struck a debt-relief deal on its $18bn sovereign debt pile in a bid to rebuild its fragile economy.